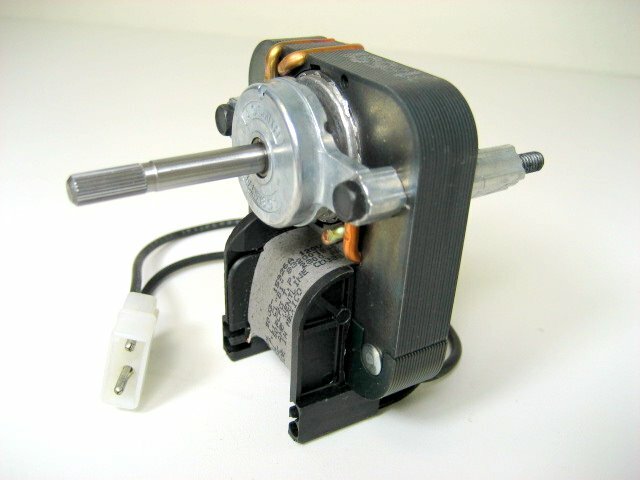 50cfm 120V bathroom fan replacement motor for the V2244-50 and V2262-50. 2800RPM. Used as an ugrade to add more air flow. Mounting bolts measure 1-7/8" apart. Motor turns clockwise when viewing from the back. Splined shaft measures 3/16" diameter x 1-1/4" long. 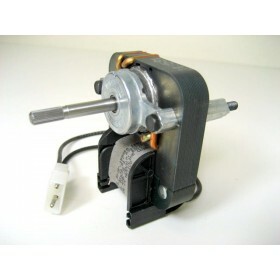 Pushes onto numerous wheels or blades including those blades which fit on a flat-sided shaft. Package arrived safe and secure, product worked perfectly, thanks for a great online shopping experience. Bolted right in and works great. Happy to have my vent fan working again. I must have an older model or something without the plug, but cutting the plug off and stripping the wires caused me no issues at all. "Excellent price delivered in 2 days. I will order from them again!!" "My purchase was everything that I expected. Would have taken more time and cost more if I would..."
"Point, click, pay, receive. love it"